I love ABBA. You can always sing along to their music. Since the release of “Dancing Queen,” it has been adopted by the LGBT community, and remains one of the most ubiquitous “gay anthems.” I had a host of gay anthems I could have chosen from, including “Born This Way” by Lady Gaga, or a classic like “Somewhere Over the Rainbow” sung by Judy Garland, but since I’d chosen three disco songs, I chose to stick with disco. 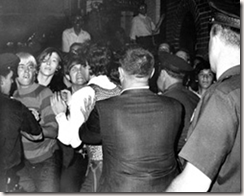 In the early hours of June 28, 1969, forty-seven years ago today, riots broke out at the Stonewall Inn in New York City. 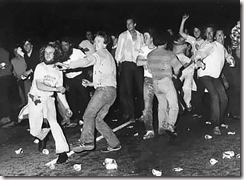 If you don’t know much about the Stonewall Riots or you just want to refresh you memory, click on this link (STONEWALL) and you’ll be taken to a series of blog posts that emerged from a paper I once wrote on the subject. 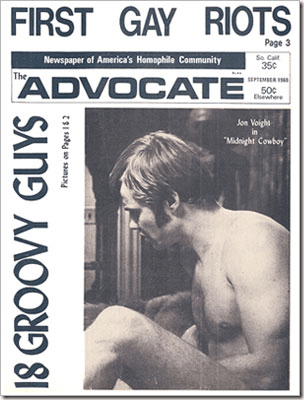 We’ve come a very long way since 1969. Forty-five years ago today, in a small tavern in New York City, history was made. The Stonewall Riots not only sparked a movement, but changed history and, eventually, helped millions of people embrace their true identity. In 2014, marriage equality is sweeping the nation, gay men and women can proudly and openly serve their country and we are leading the charge. There was a time when LGBT people were forced to hide in the shadows, their way of life criminalized – marriage wasn’t even a consideration. 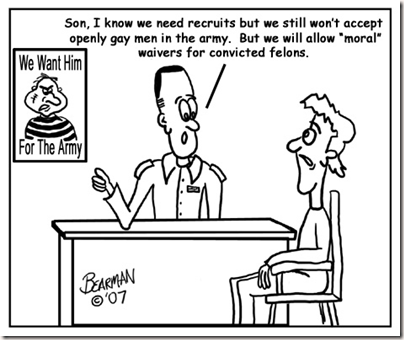 Police would raid gay bars (if they weren’t getting paid off by the owners) and arrest people on the spot if they didn’t have identification, or if they were in drag. But in 1969, came the biggest moment in the history of the LGBT Civil Rights Movement: the Stonewall Riots in New York City. On Saturday, June 28, police raided the Stonewall Inn in New York City’s Greenwich Village. This was routine at the time, but this raid would be like no other before. As police they were lining bar-goers up for inspection, all hell broke loose. “When they came in the door, they were pushing and shoving people,” said Tree, a bartender at the Stonewall Inn who was there when the riots happened. “They actually pushed this guy with a mustache — who turned out to be a lesbian with a mustache — and it took two cops to pull her off the cops. The riots became national news the next day, and what was just one night of chaos turned into an organized movement with LGBT groups popping up around the city, and soon, around the country. Today, when states are reexamining their gay marriage bans (Indiana just overturned theirs on Wednesday), the Stonewall Riots’ significance in the fight toward equality is recognized even more strongly. 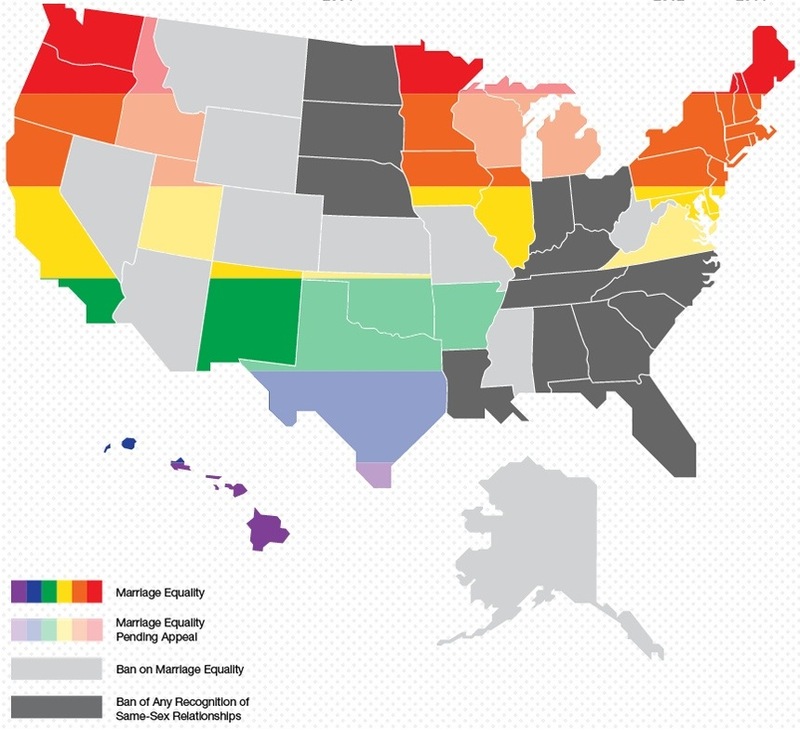 Now, after 45 years, 19 states out of the 50 have legal gay marriage — not even half of the U.S. Will it take another 45 years to unify the country? Some think it’ll be five, but for others the completion of gay marriage is not about time, but a question of being vigilant. 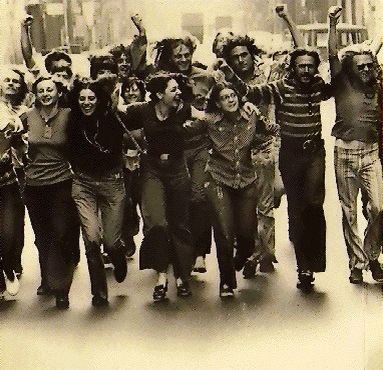 For LGBT Americans, the Stonewall Riots began our march toward equality, but 100 years ago today, the world changed. It’s innocence was lost, never to return. One hundred years ago today in Sarajevo, a Serb nationalist shot to death at point-blank range Archduke Franz Ferdinand, the heir to the throne of the Austro-Hungarian Empire, and his wife Sophie. Their deaths triggered the chain of events that led a month later to the start of World War I — the Great War, a horrifying, bloody four-year conflict that killed some 14 million people, collapsed empires and redrew large parts of the world’s map. The most fascinating thing to me is that it almost didn’t happen. The main attempt on the archduke’s life had been botched. 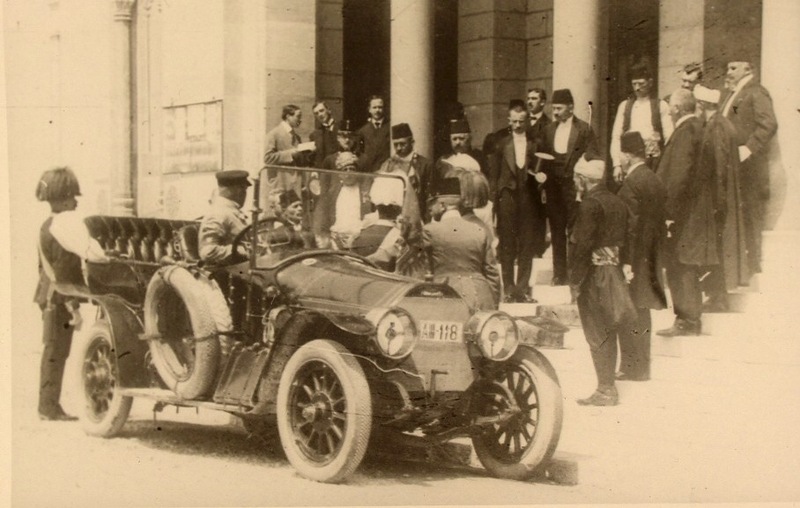 It wasn’t until a wrong turn on the way to visit the hospital and those injured in the first botched attempt that Gavrilo Princip, the archduke’s killer, walked out of a deli to find the archduke’s retinue stopped in front of the store. He had believed the plan had failed, but took the opportunity to shoot the archduke and his wife. Had the archduke’s car not made a wrong turn, had Princip been delayed in e deli a few more minutes, or had the archduke not been sewn into his uniform (apparently he’d gained a little weight and the sewed on uniform had kept doctors from being able to save him)…the world could have been a vastly different place today. In Sarajevo, the assassination is being marked with commemorations, concerts and exhibitions. The fault lines of a century ago remain all too real, with the country’s ethnically divided politics still a cauldron of animosities. “Sarajevo is now a symbol of a century of wars in Europe but we are here to talk about peace and reconciliation,” said Joseph Zimet, the head of the organization planning the commemoration. On the eve of the centennial, Bosnian Serbs unveiled a statue to Princip who is considered a Serbian hero and freedom-fighter. A century after the assassination, the rest of the world would likely consider him — and the underground, radical nationalist network he was operating within — a state-sponsored terrorist. The Austrians back then certainly did, and looked at Belgrade, capital of the young nation of Serbia, as the source of the conspiracy. What happened next, as Winston Churchill put it, was a “drama never surpassed.” Ferdinand’s death presented leading statesmen in Europe’s great powers both a crisis and an opportunity and led to a dizzying series of diplomatic maneuvers, secret negotiations and political escalations that underlay the explosive opening of World War I. A web of alliances between Europe’s competing empires — a “concert” — led to Russia coming in on the side of the Serbs, Germany countering Russia, and Britain, France and the waning Ottoman Empire also entering the fray. Sean McMeekin, a professor at Koc University in Istanbul, chronicles the weeks that followed Ferdinand’s murder in “July 1914,” a riveting account published this year of how the war started. McMeekin and a whole tradition of World War I historians argue that even after Ferdinand’s assassination, war was not a fait accompli. Indeed, in Europe and across the pond in the United States, many learning of the archduke’s death were less concerned with the drumbeats of war than the question of Austrian succession. As we mark the war’s centennial, there will be time yet to explore its legacy and effects. What McMeekin and other historians emphasize, though, was that the war was the creation of a coterie of political elites, each fueled by their own lust for greater power. No one was guiltless in the build-up. This year, in Britain, there’s already been an animated debate about how to remember World War I. Conservative Education Secretary Michael Gove lambasted “leftist” historians and commentators who cast it as a “misbegotten shambles,” a series of catastrophic mistakes by mustachioed monarchs and cabinet ministers. Instead, Gove argued it was a “just war” against the “ruthless Social Darwinism” of the Germans. This is a view not shared by many. Germany was punished most in the war’s aftermath, with its Kaiser Wilhelm II — an ambitious expansionist — made out to be the chief villain. But they were hardly alone in their imperial delusions, with the French, the British and most importantly the Russians — whose Czarist leadership still harbored plans to conquer Istanbul, that ancient Rome of the east — all guilty of fanning the flames. But it’s curious to imagine what would have happened had the archduke survived the assassination. A relative liberal, he had “an almost religious aversion to the idea of war with Serbia,” writes McMeekin, no matter his contempt for the Serbs. But there were always larger forces in play. An imperialistic arms race in Europe had been building up in the years before. Ethnic nationalism in the margins of fraying empires asked difficult questions of the delicate “concert” of power that was in place on the continent. A reckoning, many argue, was inevitable. In my opinion the assassination of Franz Ferdinand marks the beginning of the Modern World. We are still dealing with the repercussions of the fall of the Austo-Hungarian and Ottoman Empires. 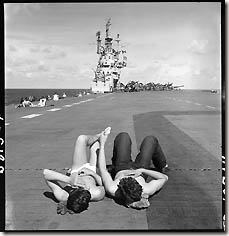 The old imperialistic empires that remained would linger through World War II and be nearly completely gone by the time of the Stonewall Riots in 1969, but we must still deal with the problems of countries that were raped of resources by European (and American) imperialists. The fallout of World War I and the subsequent Paris Peace Conference, particularly the Treaty of Verailles, has had a long lasting effect on the world, and nearly every problem in the world today can be traced back to the events set off by the assassination of Franz Ferdinand. In this 90-minute film, AMERICAN EXPERIENCE draws upon eyewitness accounts and rare archival material to bring this pivotal event to life. 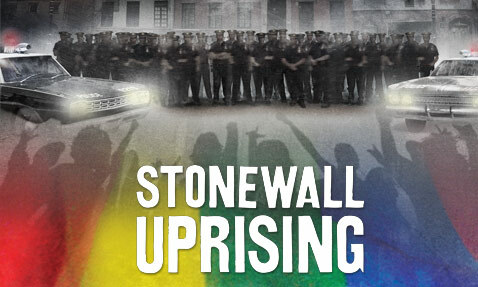 Based on David Carter’s critically acclaimed book, Stonewall: The Riots that Sparked the Gay Revolution, Stonewall Uprising was produced by Kate Davis and David Heilbroner. 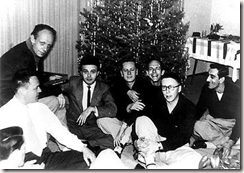 This post begins a new series on The Closet Professor about the history of the early gay rights movement. 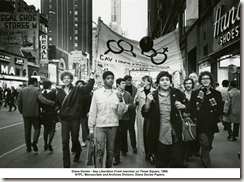 Most if not all of you have heard of the Stonewall Riots, and though most people credit Stonewall with the beginning of gay rights, there were precursors to the movement. 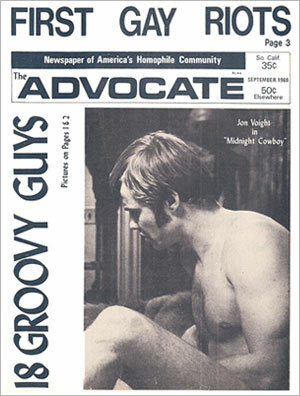 This series is based on a paper I once wrote about the gay rights movement but has been updated to some extent. I hope you enjoy it and find it informative. The summer of 1969 showed the best and worst of America. In June, President Nixon announced Vietnamization as a way to get America out of the Vietnam War, which reminds me a lot of our present policy of Iraqization of the now (supposedly) ended war in Iraq. Man stood on the moon for the first time on July 16 with the Apollo 11 landing. 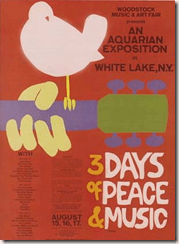 In August, Woodstock demonstrated to the world the epitome of the flower children’s culture and the height of the counter culture movement. While such events were celebrated in American culture, the summer of 1969 was also marked by a series of tragedies. Judy Garland died from an overdose of drugs. The Manson Family murdered actress Sharon Tate, her unborn child, and four others in Bel Air, California, in what has become known as Helter Skelter. Mary Jo Kopechne died in a drunk driving accident with Ted Kennedy in Chapppaquiddick, Massachusetts. 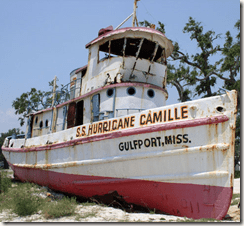 And 248 people perished in Mississippi when Hurricane Camille crashed into the Gulf Coast. The Civil Rights Movement was also going through a change. With the assassination of Martin Luther King, Jr. in Memphis in 1968, the end had come to the classic period of the Civil Rights Movement. 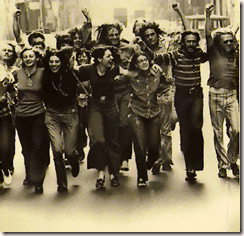 The movement was becoming more radical and began to splinter off into more groups of people, including women and the gay and lesbian community. 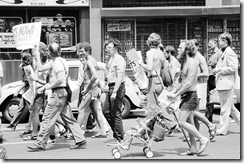 With the Stonewall Riots, the modern gay and lesbian rights movement had its beginnings in Greenwich Village, New York, during the summer of 1969. 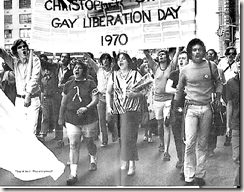 The Stonewall Riots marked a change in the direction of the gay liberation movement that had been brewing since the end of World War II with the founding of the Mattachine Society in Los Angeles with chapters in New York, Philadelphia, and San Francisco. Gays and lesbians worked with the Civil Rights Movement, participated in the anti-war movement, and kept their sexuality in the background. But the “Friends of Dorothy” and “Daughters of Bilitis” were determined to no longer stay in the background and have homosexuality criminalized as it had been in the past. 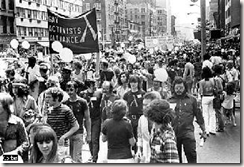 On the night of June 27, 1969, the gays and lesbians in the Stonewall Inn fought back after a police raid, and the modern gay liberation movement was born and would continue to grow as gay pride marches marked the subsequent anniversaries of the Stonewall Riots each year in New York during the month of June. Announcement: I have decided that I will try something new with The Closet Professor. Most college classes either meet on Mondays, Wednesdays, and Fridays or on Tuesdays and Thursdays. Therefore, I have decided that The Closet Professor, which has a very loyal but also relatively small following, will begin posting only on Mondays, Wednesdays, and Fridays. These posts take more time to put together than the posts on my other blog, so I have chosen to give you quality not quantity. 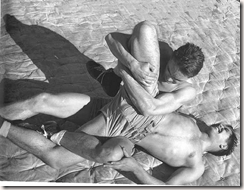 I love this blog, and it is the blog I love to do: teach. I hope that you will continue to read and comment as the posts slow down just a bit. Occasionally, I will randomly post things for other days as the mood strikes but for now, I plan to follow the new schedule.